Unfortunately, we have had to temporarily suspend cash trades on Bittylicious. 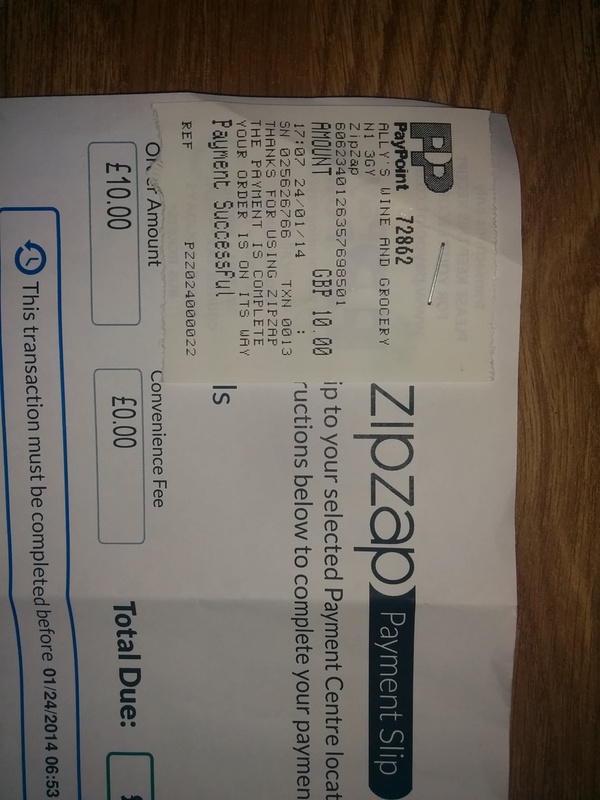 This is because the ZipZap payment partner network has decided to temporarily suspend cash payment processing for digital currencies until they have more legal clarity about the status of Bitcoin from the UK government. While we think a decision by the government is imminent, we have no way to gauge how long this will take. We have had to restrict the number of transactions we send through our Bitcoin backend server every hour. To do this, we have temporarily implemented a minimum purchase amount. The technical reason for this is that the backend server could previously have have sent out some transactions that would never confirm, i.e. you would never receive them. This is an unfortunate side effect of the malleability attack happening on the Bitcoin network. By ensuring that the server never sends unconfirmed change outputs, we can safely send Bitcoins out, but at a vastly reduced pace. This is because we can no longer assume that unconfirmed change inputs that we thought were sent by us are actually safe to send. London, 10th February 2014. 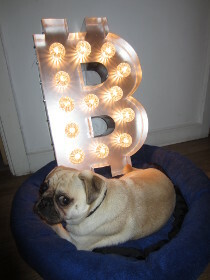 Bittylicious is proud to announce the arrival of two new altcoins onto its platform: Dogecoin and Quarkcoin. Users in the UK are now able to buy Dogecoin and Quarkcoin in pounds simply by performing a bank transfer to a Bittylicious bank account. This drastically simplifies on the extra steps that were previously required to either convert and transfer money abroad, or to first buy Bitcoins and then exchange these. For the first time, UK buyers can use a major exchange to buy Dogecoin and Quarkcoin directly. Dogecoin is a Litecoin-derived cryptocurrency that is based on the Doge internet meme. Although from a technical perspective it only has tweaks to the Litecoin protocol, it has a huge community doing a lot of work to increase the publicity of virtual currencies, including notable charitable efforts. Quarkcoin is another altcoin which features nine rounds of hashing (as opposed to one for most other coins) which makes it strongly resistant to ASIC and, to a lesser degree, GPU mining. Bittylicious is continuously looking for further sellers on its platform to offer both Dogecoin and Quarkcoin both in the UK and abroad. Sellers simply need to have access to a bank account that accepts instant bank transfers. London, 6th February 2014. In a similar way to how people pay gas and electricity bills, people in the UK can now buy Bitcoins with cash on Bittylicious. Bittylicious has launched a new service which enables prospective buyers to purchase Bitcoins by handing over cash at any one of over 28,000 ZipZap locations in the country. The process is very simple, and any user that has had their identity documents verified by Bittylicious can obtain Bitcoins this way. Users simply need to choose how many Bitcoins they want, locate a local payment centre within the Bittylicious website and print off a payment slip to show to the cashier. Alternately, as long as the barcode is clearly available, they can show this to the cashier on a mobile device. 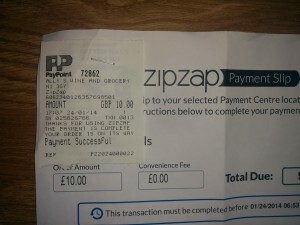 The payment centres are typically small supermarkets and other local shops. Within a few minutes of the payment being taken, the Bitcoins are released into the buyer’s Bitcoin wallet. In the near future, it will also be possible to buy a variety of altcoins, such as Litecoins, Feathercoins and Dogecoins, for cash using the Bittylicious service. ZipZap, Inc. provides the payment network itself, and plans to offer more territories soon. Founded in 2010, ZipZap is headquartered in San Francisco, California, with operations around the globe. Bittylicious, founded in early 2013, primarily offers Bitcoins and other virtual currencies for sale using online bank transfers, but has now expanded to offer cash payments via ZipZap. Update: Bittylicious has also published a step by step guide showing users how to do cash purchases. London, 7th February 2014. Bittylicious and the Maxcoin Project have been working together to help launch the first fiat-to-Maxcoin exchange anywhere in the world. Maxcoins in the UK have been enabled on the Bittylicious platform as of 9.00pm on Thursday 6th February with the first becoming available for sale early on Friday 6th February. Various sellers have signed up to sell Maxcoin and Bittylicious anticipates the number of sellers to increase. Maxcoins are a new altcoin, an alternate to Bitcoin, promoted by Max Keiser. Max hosts a regular show, The Keiser Report, on RT and is a huge supporter of Bitcoins and virtual currencies in general.